This fascinating journey through the churches, abbeys, and small museums north-west of Florence takes visitors on the trail of the Ghirlandaio family’s artistic activity in those places where they were active. The itinerary reaches the age-old Abbey of San Salvatore e San Lorenzo a Settimo in Scandicci. Domenico’s hand can be detected in the splendid frescoed pendentives of the apse and in a remarkable Adoration of the Magi. In the town of Campi Bisenzio, Domenico painted the cycle of frescoes that embellish the nave of the Church of Sant’Andrea in San Donnino, which are not to be missed. 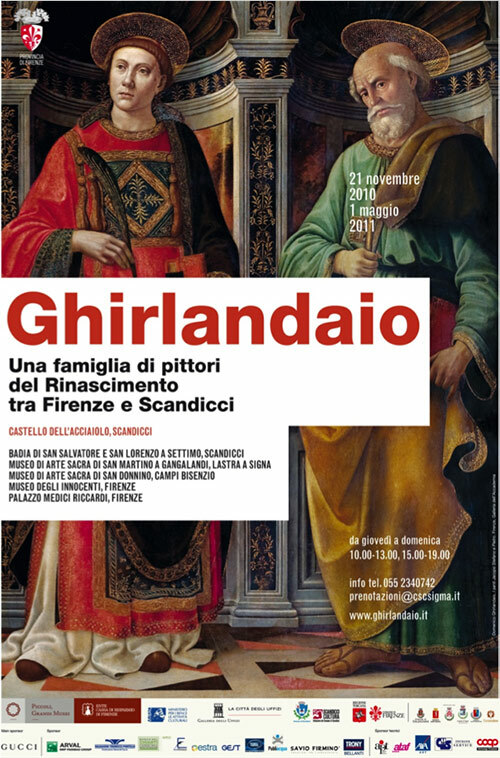 This tour also offers the possibility of rediscovering valuable as well as unexpected artistic works in the Museum of Sacred Art in San Donnino, in addition to the Church and museum of San Martino a Gangalandi in the municipality of Lastra a Signa. Here is a splendid panel painting by Jacopo del Sellaio that, recalling somehow Ghirlandaio’s style, shows how important the artist was at that time.